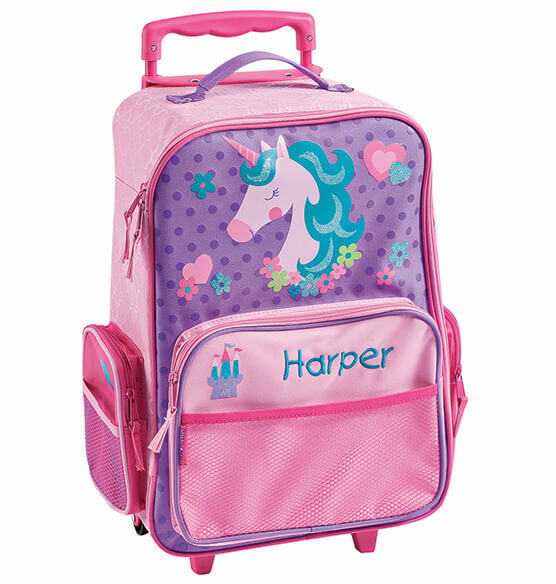 Combining the whimsy kids love and the quality parents appreciate, this Personalized Stephen Joseph® Unicorn Classic Rolling Luggage goes the extra mile on designer STYLE ... arriving personalized! Boasting the premium features of an adult's wheeled suitcase, it's the perfect size and height for little travelers. 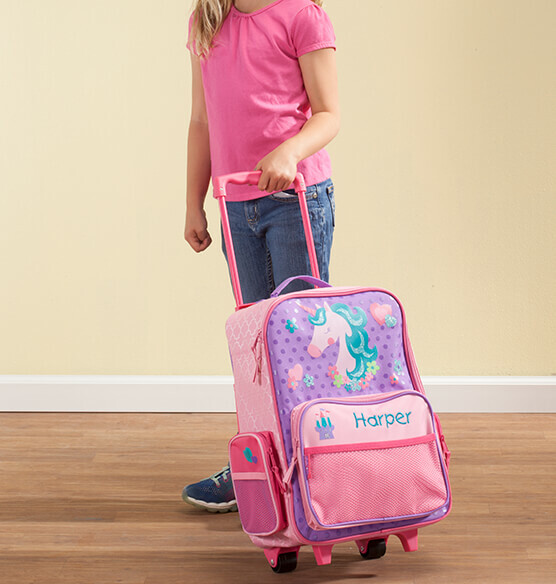 The classic rolling suitcase unicorn features a generous main compartment—with a zip closure, plus open mesh pocket for easy access to travel essentials like bubble gum, books and toys. Adorned with polka dots, hearts, flowers and a unicorn, this pink and purple childrens luggage is so bright and cute, it's easy to spot on the luggage carousel—especially when personalized with one traveler's name!